The craft beer revolution has arrived in this capital of the Confederacy. However, just because Virginia was late to the party doesn’t mean it should be overlooked entirely. The Richmond breweries are embracing seasonals, creating bold experimental brews and continuing the city’s unique place in beer history. The Richmond craft beer scene is rapidly maturing and a day on one of the Richmond brewery tours is must in this city. 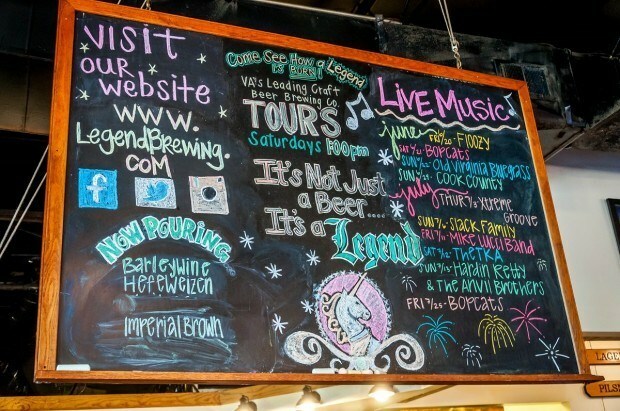 Richmond, Virginia holds a unique place in American beer history. Shortly after the repeal of Prohibition, Richmond, Virginia became the first place in the country to sell beer in cans in 1935. While many would argue that the move relegated Americans to drink poor quality beer for decades, Richmonders are proud of their place in beer history. And these days, good quality beer is being canned–including some from Richmond breweries. Our introduction to Richmond craft beer came from the concierge at The Jefferson Hotel, a young woman named Hannah, who gave us a copy of the Virginia Craft Beer magazine. This free guide turned out to be informative source of all things happening in Virginia craft beer culture, including the local Richmond breweries. 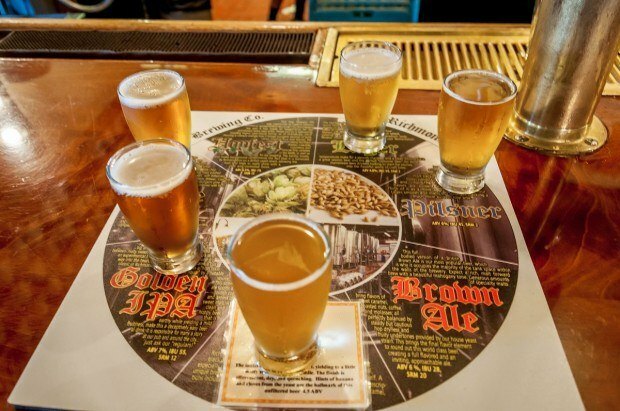 One of the highlights of any visit to the Virginia state capital is organizing one of the Richmond brewery tours. Pick a few of the great craft brewers and go! Legends is the big old boy in town and has just celebrated its 20th birthday. 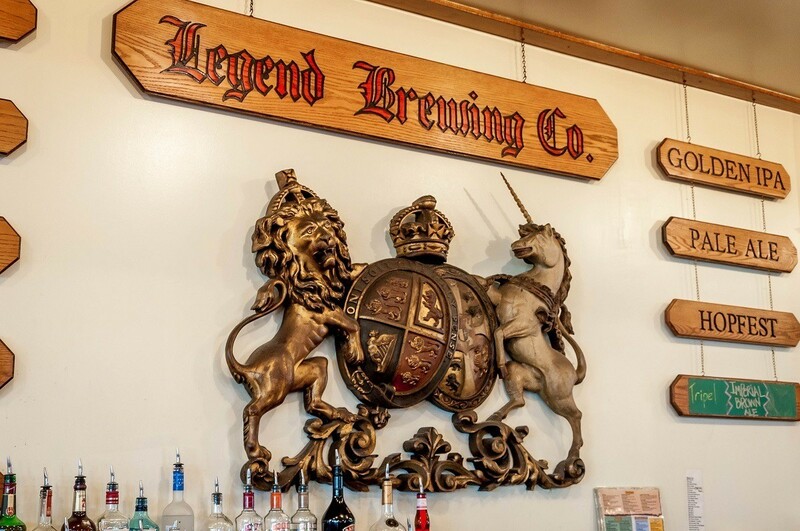 Legends has a large tavern room that serves delicious food and has large deck overlooking the James River and views of the downtown Richmond skyline. Notable beers at Legends are the tart Lager (4.8%) with lemon notes a light, wheaty color. I particularly enjoyed the Hefeweizen (4.5%) with delicate hints of banana and pineapple, a soft malty sweetness and trace of an earthy bouquet. Legends is arguably one of the best all-around Richmond breweries and is a great place if you’re looking to eat as well as drink. 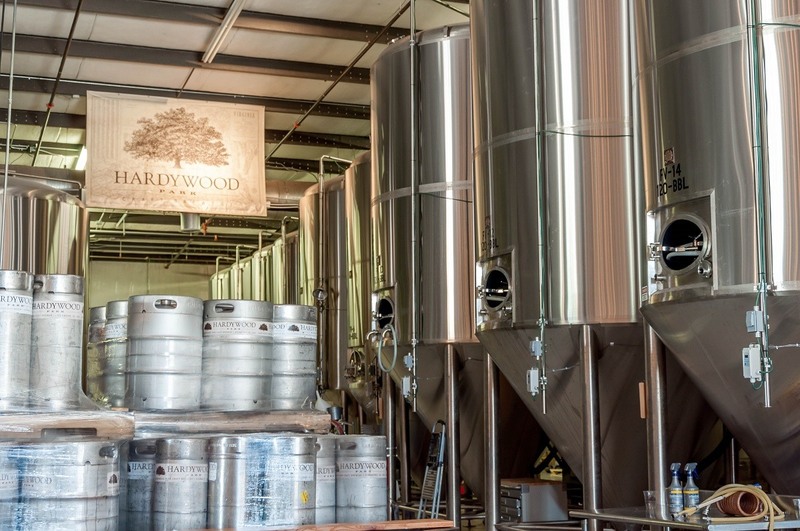 Hardywood is located in a large industrial complex close to downtown Richmond. The large, industrial brewery is named after a sheep farm in Australia, Hardywood draws inspiration from all over the world for its beers and prides itself to be one of the Richmond breweries most focused on sustainability (100% renewable energy, 100% recyclable packaging). 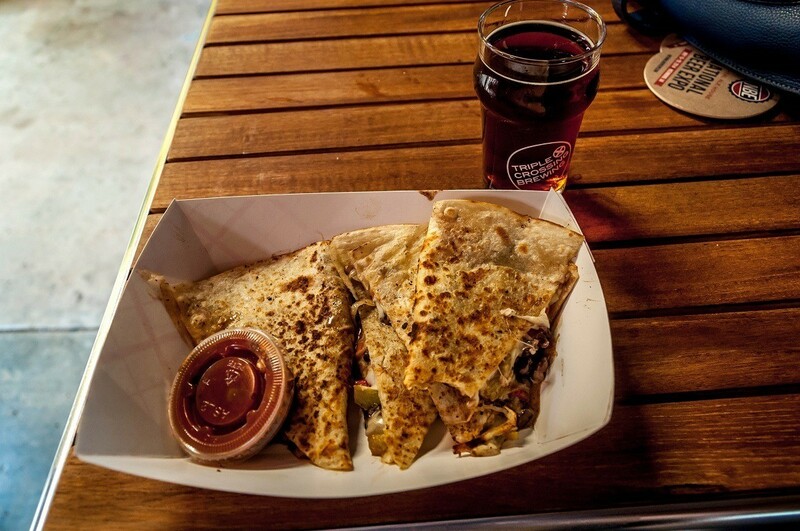 Hardywood is well served by food trucks and carts on the weekends. I enjoyed the Bohemian Pils (5.0%), a slightly bitter, semi-malty, dry pils with a strong lemon bouquet. But the real winner here was the Sidekick Porter (4.5%), a session porter with fresh coffee and milky chocolate. The English hops impart a light, smoky quality to it. This is complex delicious beer that I could drink all day long. What is a mystery to me is that Hardywood doesn’t list it on their website (either in current or retired beers). What happened to the Sidekick Porter? Richmond, Virginia is sometimes called the Triple Crossing – the only place where three railroads cross at exactly the same spot on different levels. The Triple Crossing Brewery pays homage to this history. A standout here is the Pocket Change (3.5%) – a whiskey-colored Scottish style ale with delicate hints of orange. A food truck behind Triple Crossing serves up Mexican food. While the Richmond craft beer scene is exploding, the boutique cidery scene is only just beginning. 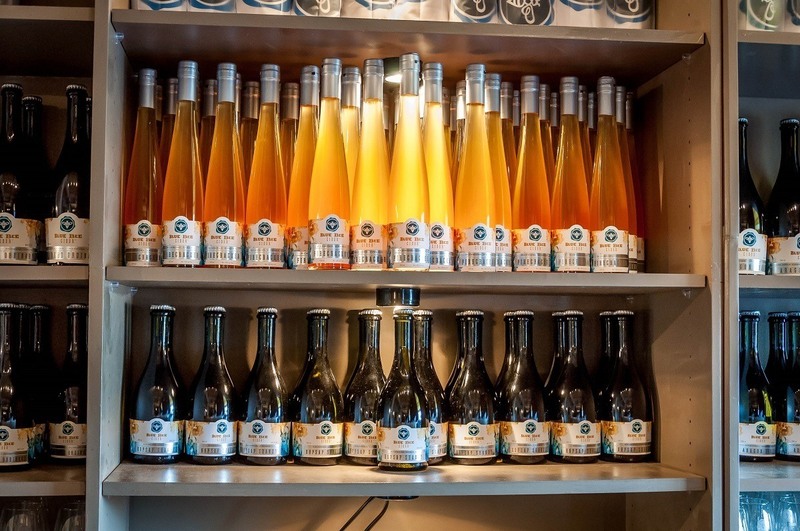 Opening in 2013, Blue Bee Cider is the passion-project of cider maker Courtney Mailey and focuses on small batch ciders using heirloom Virginia apple varieties. We particularly enjoyed the Hopsap Shandy, a dry, French-style cider with berry and citrus notes, and a long, thin green apple finish. 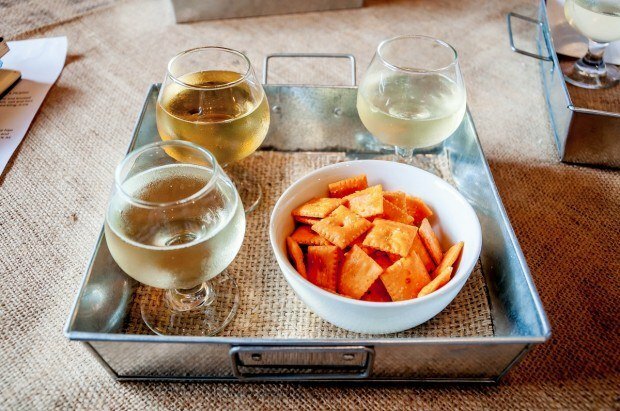 We could drink this all day long. But we also enjoyed the Aragon 1904, a slightly sweet cider with a strong minerality. The Aragon 1904 is almost like a fine off-dry wine. 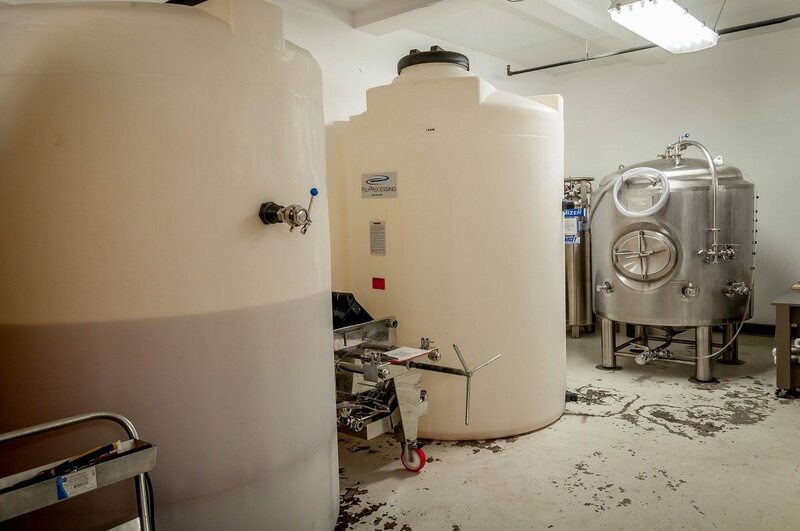 The Richmond craft beer scene is exploding. While other regions of the country have been developing for decades, the Richmond breweries are just now coming into their own. If you have time in Virginia’s capital, consider taking in a brewery tour. 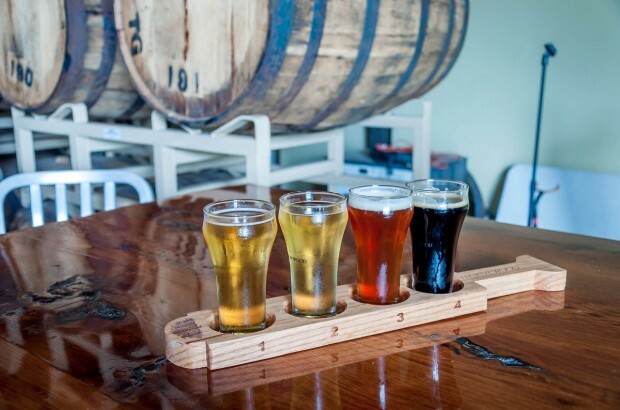 What do you think about The Summertime Brews: Hopping Around Richmond Breweries? You really enjoyed the breweries and their beers 🙂 I’m not a huge beer drinker but I do like to visit breweries from time to time and taste new flavors too without getting drunk (or at least trying not to). 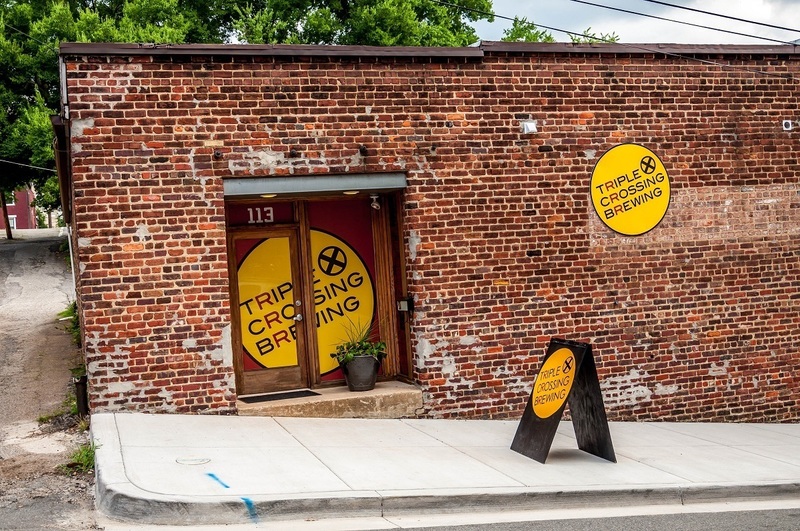 I also like breweries with something special that can be their past, kind of beer, location… that’s why the Triple Crossing Brewing Company intrigues me a lot, it’s fascinating that it’s located where three railroads cross at exactly the same spot. Franca, there’s a great image on the interwebz of the Triple Crossing. It’s copyright, so we couldn’t post it, but I do recommend taking a look at it. Laura’s not a beer drinker, so she has a lot of patience when I decide to do these brewery tours! Next time you’re back here in Richmond, you need to check out Midnight Brewery! It’s west of the city by about 20 minutes, but their beer is AWESOME. They’ve only been around a couple of years but they won the honor of concocting the official beer for the state fair this year! Thanks Katrina. I’ll check it out next time we’re down near Richmond. Love reading about the ever expanding craft beer revolution in America. This place is becoming a world leader in the beverage … next time I’m driving 95 south through the state, I’ll have to try one of them out!